The Glutathione Protocol is a method of treating chronic fatigue syndrome (CFS or ME/CFS) that was developed by Richard Van Konynenburg, PhD. It focuses on restoring a process in your body that he says is blocked in people with this disease. At its root are findings that, according to Van Konynenburg, the majority of people with ME/CFS are deficient in glutathione. This treatment protocol is experimental, and there's little or no scientific evidence to support it. Many people with ME/CFS say it's been extremely helpful to them, but these are strictly personal opinions that do not imply scientific fact. According to Van Konynenburg, an important part of the protocol is raising your glutathione levels. However, he says that first you need to unblock what's called the "methylation cycle," which is what he believes is behind the low glutathione levels. If you've never heard of glutathione, you're not alone. It's not well known by the public, and even doctors have only begun to understand its importance. Glutathione is an antioxidant and antiviral tripeptide that naturally occurs in your body and helps clean heavy-metal toxins out of your system. According to glutathione researcher Jimmy Gutman, MD, it's involved in dozens of critical cellular processes that protect us from toxins in the environment. Your body can become low in glutathione over time because of constant demands combined with a low level of its components in the typical modern diet. It also declines as we age, and some researchers believe maintaining higher levels would fight many age-related illnesses. Dr. Van Konynenburg has outlined two forms of the Glutathione Protocol — a simple approach and a customized one. Note: This information is intended to familiarize you with this treatment protocol so you can decide whether to look into it further. These are not complete instructions. This article is not designed to either support or refute the protocol; its intent is to give you facts that can help you make an informed decision. After you start the treatment, your symptoms might get worse for awhile. If so, Dr. Van Konynenburg says you need to find out whether that's because your body is starting to kill viruses and detoxifying, or because you have a certain genetic abnormality that causes an increase in an enzyme called cystathionine beta synthase (CBS). To see which group you fall into, you'll need to have your urine tested for toxic metals and amino acids, which may require you to go through a specialty lab (and that can be very expensive.) If the test reveals toxic metals, he says it means you're detoxing and can continue with the Simplified Approach. If the amino acids test shows elevated taurine and ammonia, you have the CBS problem and will need to switch to the Customized Approach. The customized approach is a complex, 17-part protocol that requires some medical tests and will mean you'll need a doctor who's willing to help you with it. You may also end up paying for a lot of specialized tests. The theory behind the protocol has gained some acceptance among researchers. A 2014 paper in Molecular Neurobiology described glutathione depletion as having "marked consequences for the homeostatic control of the immune system, oxidative and nitrosative stress (O&NS) pathways, regulation of energy production, and mitochondrial survival as well." It went on to say that glutatione depletion may play a role in several neurological diseases, including ME/CFS, Parkinson's disease, and depression. The link to oxidative and nitrosative stress links this theory to another experimental approach—the Pall Protocol. However, a 2011 study involving one of the same researchers found reduced glutathione activity in depression but not ME/CFS. So while this idea may be gaining ground, we're still a long way from being able to say that glutathione depletion is involved in this disease, and what treatments may be safe and effective for it. 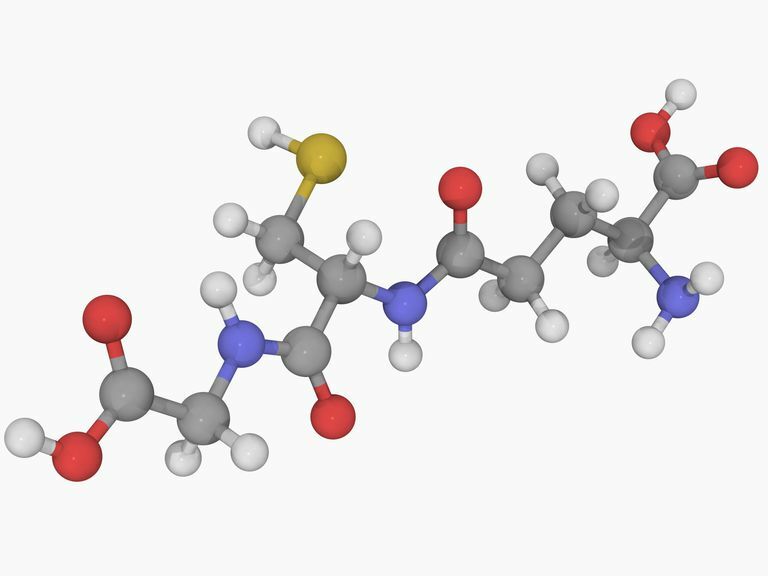 Is the Glutathione Protocol Right for You? Only you can decide whether this protocol is right for you, and it's wise to include your doctor in your decision and treatment as much as possible. You'll need to weigh the potential benefits of the protocol against how much time, energy, and money it will take for you to follow it, as well as any health risks it may pose. Again, there is little or no scientific evidence to support this treatment protocol. Any successes you see reported are anecdotal. Maes M, et al. Neuro Endocrinology Letters. 2011;32(2):133-40. Lower Whole Blood Glutathione Peroxidase (GPX) Activity in Depression, But Not in Myalgic Encephalomyelitis/Chronic Fatigue Syndrome: Another Pathway That May Be Associated With Coronary Artery Disease and Neuroprogression in Depression. Morris G, et al. Molecular Neurobiology. 2014 Dec;50(3):1059-84. The Gluathione System: A New Drug Trget in Neuroimmune Disorders. Planet Thrive, Inc. All rights reserved. "Glutathione Depletion -- Methylation Cycle Block Hypothesis: the Simple Approach"
Is Nitric Oxide Behind Fibromyalgia & Chronic Fatigue Syndrome? Acupuncture for Chronic Fatigue Syndrome: Does it Work?